Home » Team Management » Do You Spend More Project Management Time With Your Eagles or With Your Turkeys? “1. 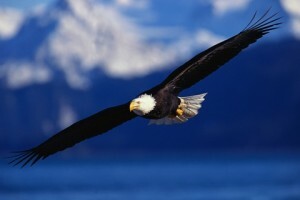 Eagles: Those are the ones who soar. They go the extra mile at every turn. They come in early, work hard, are accountable for their performance … and always do it with a smile. 2. Sparrows: The come to work, do their jobs, and go home. 3. Turkeys: They come to work late, do very little, go home early, and complain about everything. On the other hand, if you spend 70 percent of your interaction time coaching your Eagles to fly higher, 25% of your time helping your Sparrows become Eagles, and 5% of your time urging your Turkeys to get their acts together, the return on your time investment can be enormous.“ Meagan Johnson, Larry Johnson, Generations, Inc., pg 93. Oh boy. I’ve actually seen this a lot. The managers spend all their time with their “best” folks and let their “under-performers” just kind of exist. I’ve especially seen this in the government and military. In another article, I called this the “superman” method of management. Drive your best folks and just hope the others will magically improve or maybe go do something else. My experience is seemingly the opposite. Most of my management career I’ve been more a mentor, consultant, and teacher than I have been a classic manager. In particular in the government and military, we often got who we got and didn’t have much influence on who was hired and fired. Our job, however, was to get the job done with the resources we had. Managers would attach themselves to their hardest working staff and drive and reward them. It was humorous to watch a half dozen manages work with less than a half dozen “hard chargers” while running organizations of dozens and sometimes hundreds of people. These organizations generally did not perform well (late and buggy projects, over budget, underutilized staff, etc.). I found a different approach that worked consistently better for me. I would generally aim my self-motivated hard workers in the right direction and checked in with them periodically. They worked hard without a lot of push on my part. I did observe the often stated notion that if we wanted to get something done, give it to someone who was very busy. These folks did a great job without a lot of management. Ok, now let’s look at what Larry and Meagan call the “Turkeys.” Every time I took over a new organization, people (other managers, my predecessor, my boss) would generally fill me in on who were the superstars and who were the Turkeys. The key characteristic of these so called Turkeys was generally that they were unproductive, often smart, passively uncooperative and just as often they complained a lot. This is, however, where we would ultimately find the people we need without hiring anyone new (like the “A” student). They can, in-turn, help rocket the organization up to the next level of performance! How is this? First, think about the situation, especially for small teams. When I find a way to motivate one under-performer in a team of say five, the increase in productivity is huge when compared to pushing (and rewarding) an overachiever who already works around the clock and through the weekends. The overachiever is already working hard and there is not a lot more capacity for them to do more. I’ve also had a few people collapse on me — so don’t just let them run themselves into the ground! However, the greatest improvements in the performance of my teams has just about always come from coaxing the best out of my under-performers and not from pushing my higher performers to work harder! In the short series of articles on improving quality The One Key Step For Successful Improvements I cover an experience where we significantly improved our software quality. These were small teams of international military software engineers working in a joint military environment. The case centered on how we implemented a few key quality concepts that made a huge difference in our quality. When I first took over this organization, my boss spent some time telling me who the high performers were and who were not so good. One person in particular, call him John, I was told was not very good at anything. My boss even told me that I might have to pitch in and do this person’s job for him. He didn’t want to show this person as a poor performer (due to political and national sensitivities) but couldn’t just let him sit around and do nothing. Because I had small teams, I was able to spent a considerable amount of time with everyone. We implemented a new focus on quality and not only started to deliver on time, but scared the heck out of our test team who started to worry if they still had a job. As I mentioned above, I aimed my self-motivated folks in the direction of our new approach and I spend a lot of time coaching the others in what we were doing and why we were doing it. I also gave them all clear areas of responsibility (usually, particular software programs or modules) and told them they were responsible for getting the job done (compare this approach with what we did in The Leap). To wrap it up in a nutshell, my boss went from saying John was incapable of doing the work to literally saying he wished he had ten more people like him! What happened? John took to the new approach with enthusiasm. This included the fact that he had a new boss who didn’t assume he couldn’t do the job and who would listen to his ideas and concerns. John was very capable but to put it simply, no one had taken the time — and it took time — to understand the way he worked best and what motivated him. Once we connected, by understanding each other’s motivations and goals, John became one of our Eagles. I’ve personally had great success in kicking a team up to the next level of performance by letting my Eagles fly and by not treating under-performers as Turkeys. I’m not saying it is easy to help these under-performers find their wings, but it it is almost always well worth the time and effort to do so. How have you helped your less productive team members improve their performance? Pingback: Do We As Managers Tell or Sell Our Directions?